Do you suffer from headaches and migraines that are frequent and disabling? 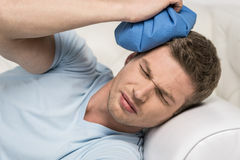 Headaches and migraines can be usually caused by misalignment of bones and joints in the neck, jaw, and head that pinch nerves affecting the blood supply to the brain. additionally, headaches and migraines develop from allergies and poor ergonomics at work. Stop trying to just manage your headaches; eliminate your headaches. Call us today (719-594-0071) to set up comprehensive consultation, exam and treatment. We can preform headache and migraine treatments, allergy treatments, and ergonomic consultations to have permanent resolution.